Ah, the great search engine giant. The “I really don’t have a clue where I am going to find someone that can teach me to play ukulele while riding backwards on a llama in Germany during Oktoberfest!” site. Google, as you probably know, has been sticking its hands into many different markets as of late. Such markets include: Internet Browsers (Google Chrome), OS’s (Chromebooks), and Mobile Phone’s (Android). Their latest attempt is thus something heroic as usual and may be quite a contender. 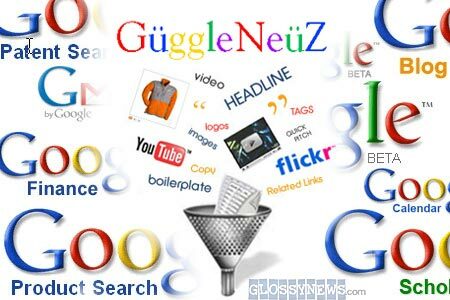 Google is now into Social Networking!!! Isn’t that exciting?! Say yes, or I really sound like a freak. Anyways, Google has announced Google + is now available to select participants in a closed beta. This beta is invitation only, mainly to “work out the kinks”. Sadly, I see through their scheme of “beta participants”. In reality, Google has done themselves a favor by making their social networking site exclusive. Imagine it this way: If you were walking through a mall of a bunch of stores that offered almost the exact same merchandise as all the others and one was only letting people that they had pre-picked to go in, you automatically want to be able to go into that store. Same way with social networks. If Google plays their cards right with Google +, then Facebook may become the new MySpace. That said, I am one of those special people invited to Google+ and I must say, there is much I like about it. It’s clean and sleek, not so cluttered as Facebook looks sometimes. It’s also ad-free which is surprising for Google which makes much of its money off its AdSense ability. The ability to drag and drop friends into different circles is also a nice touch. Now I can make geeky comments to my geek friends without everyone on Facebook going, “what the hell is he talking about?”. This could also be in your favor if you don’t want family and coworkers to see those embarrassing pictures of you at the party Last Friday Night. There is many more features that are worth mentioning, but I don’t want to give out all Google+ has to offer. Since there are very few that follow the blog, if you comment on this post, I can arrange you get an invite to what is Google+. Feel free to comment on the blog as well as subscribe on the sidebar to your right.